Mangaluru, Dec 16, 2015: : Speaking while taking part in a protest staged in front of the taluk office at B C Road by Samajika Nyayapara Horata Samithi on Dec 15, Tuesday. Zilla Nethravathi Nadi Samrakshana Okkoota Chief Convener Dr Niranjan Rai alleged that Yettinahole project intends to empty the Nethravathi river and it is an anti-people project. He said MP Nalin Kumar Kateel has raised the issue in the Parliament and voiced his opposition against the project. It is a good development, Rai said and urged the MP to raise his voice against the project, at the meeting called by the Union government and carry out efforts such that the project does not get approval. Yettinahole project is only a money-making project, he said and alleged that its implementation will not only cause adverse effects on the living species of Western Ghats, but will also leave a devastating impact on the population of the district. Sahyadri Sanchayana Vedike Convener Dinesh Holla said the elected representatives batting for the implementation of the project show that they do not have any concern for the people. Nethravathi river is being sacrificed for the sake of vote bank and money, he charged. The forum member Shashidhar Shetty said more projects, similar to Yettinahole, are likely to be implemented in the Western Ghats region. 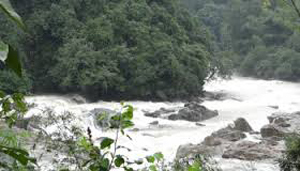 The region from Kudremukh to Vishwagiri should be declared as ’Netravathi River Protection Zone’, he urged the government. The forum members took out a protest rally earlier.